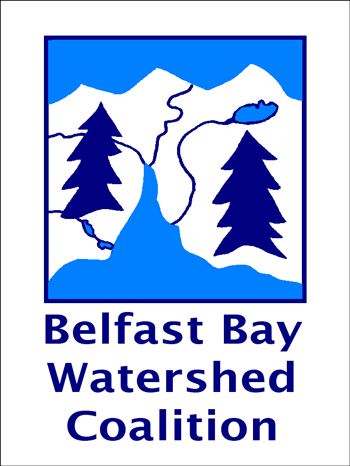 On December 29, the 2018 Christmas Bird Count for the Belfast sector, sponsored by the Belfast Bay Watershed Coalition, was conducted by 29 volunteers. They divided up the territory, a 15-mile diameter circle from the Belfast Bay to Stockton, Frankfort , Monroe, and Waldo. The center of the circle is Mt. Waldo. Watchers combed their sections all day tallying birds by species. For once, the weather was mild and partly sunny, and participants didn’t feel threatened to be out all day. Results added up to 61 species seen, totaling 4962 individual birds, 1189 of which were herring gulls. Some less common sightings on land included a northern shrike, northern mockingbird, Carolina wren, 2 northern flickers, 2 Coopers hawks, and 23 evening grosbeaks. On the bay, a peregrine falcon, a kingfisher, 2 wood ducks, 2 great black-backed gulls, 2 black guillemots, 5 razorbills, and 6 red-throated loons. Partridges were seen, but not in a pear tree! The Christmas Bird Count began in 1900 aiming to reverse the trend of going out on Christmas Day and shooting birds. It indeed caught on, never missing a year of the 20th century and still continuing, now happening all over the world. Maine has 29 count circles with individual counts scheduled on different days, between Dec. 14 and Jan. 5, to allow participation in more than one count. To join the team, contact Seth Benz at sbenz@SchoodicInstitute.org .